public outdoor swimming pool and surrounding facilities, or part of a beach where people can swim, lie in the sun or participate in water sports. "Forecasts for the weekend are looking very sunny and hot. 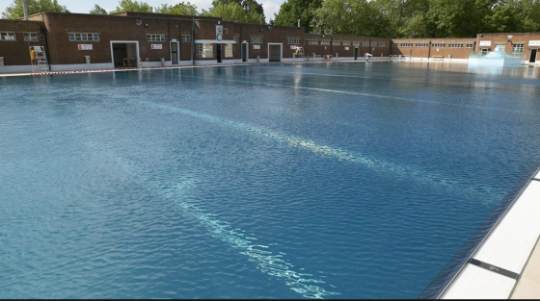 Shall we find a lido or a beach this weekend and take the kids?" Welcome to the latest issue of our newsletter (did you know that you can access all of our previous ones here?). 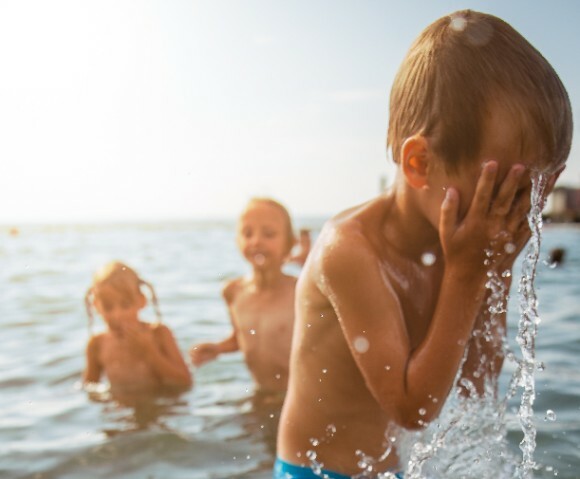 Looking at the forecast for the next few days, we thought we should pull out some top recommendations from Kinfo app for a refreshing day out at the Pools, Lidos and Beaches in and around London. We have also added feedback from our Facebook community (join us here if you haven't already). Happy Weekend and Happy Father's Day to the dads! Heated open-air pool open 365 days a year. 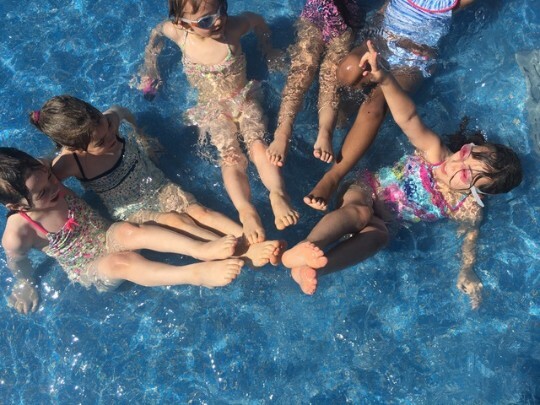 There are two different pools – one for adults, one for tiny kids– so the smallest can enjoy a splash (with you) while their older siblings do some laps. Oh, and there is a grass picnic area next to the pools. 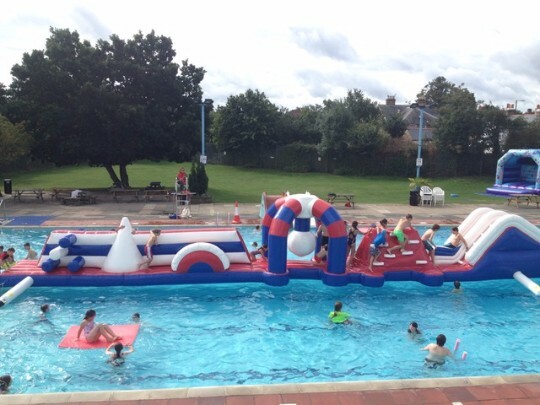 It can get very crowded during hot days so plan to stay half a day, as advised by this mum of 3 or book into one of the holiday club mornings and drink coffee from the balcony watching them negotiate large inflatables. Parking is limited, there are off-street spots. The lining of the pool is stainless steel, which gives the pool a unique metallic design. 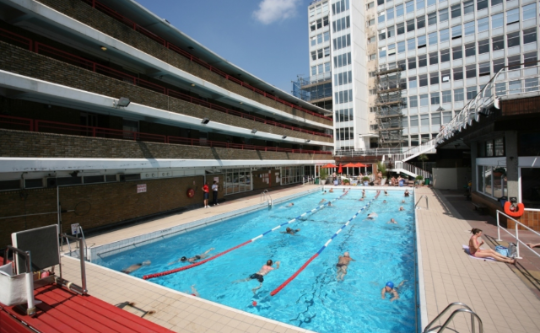 The swimming area is huge (61m x 27m) and although the water can be a bit cold at the beginning of the season (it's unheated), when the weather warms up there is a large deck to enjoy the sunshine on, and smaller pools for little ones. "Go swimming ready," recommends this mum on Kinfo... the changing rooms are not as sparkly as the silver lining. Open all year. “Wonderful playground and paddling pool," says this local mum of 2. Kids must be under-10 to access the pool, this is so the very little ones can play peacefully (well, this depends on what you mean by peacefully). Enjoy the surroundings for a picnic and walks around the Heath. This is a surprising location for a 27.5m long pool, located at the top of the Oasis Sport Centre in the middle of Covent Garden. There is no shallow water for little swimmers and quite a lot of fans flock here during hot days, so go prepared for exercise. Saying that, a mum says that the kids she went with loved their experience. When you are a child you don't really care about how many people surround you as long as you have fun. We don't always remember this, do we? “Amazing place for a family day out," says this mum of 3. The reservoir offers facilities for swimming and boating (you can hire rowing boats) and has an artificial beach with sand where you can obviously build castles. There is also a splash area for the smallest. Another mum from our community also tips the railway around the Ruislip Woods, which is great for any train lovers. 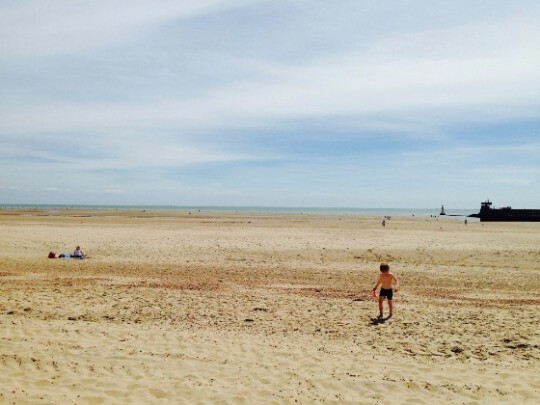 Beautiful dunes, large sandy golden beach, shallow water just a couple of hours drive from London. One kid belonging to the mum who recommends it on Kinfo still remembers it three years later. Oh, and read her description, she gives you a tip on where to put down your towel in this long beach that stretches nearly two miles. There is a lifeguard too now, from May and lasting all summer season. 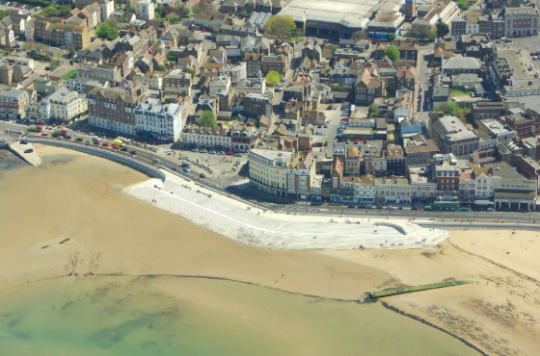 At only 1 hour and 30mins from St Pancras and just across the train station, Margate beach becomes an easy (and busy) destination for a nice day out. The beach is very clean we've been told, and there is a small enclosed area on the water for the kids to play in safely. 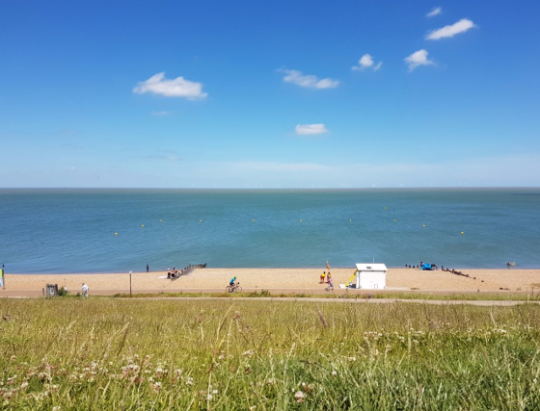 A mum has recommended the coastal walks to then jump on the train from Ramsgate or Broadstairs, but you can simply stop and enjoy a nice sunbath, ice cream and splash. 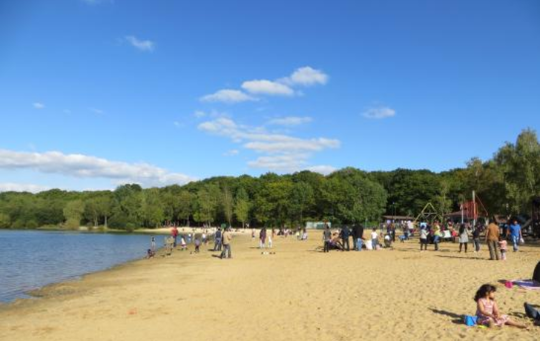 Just a few miles from Bournemouth, Sandbanks offers a beautiful sandy beach with breathtaking views and you can also rent paddle boards, canoe, kite surf, etc. 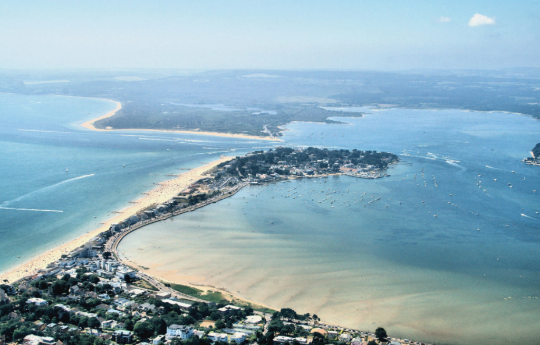 Recommended by this mum, Sandbanks is also considered as one of the most beautiful beaches in Britain. It's as close to the French Riviera as the UK gets on a blistering and blue sky day. Parking is a headache so now you know. Just over an hour by train from St Pancras or Victoria. Kids love these friendly beaches even though they are not sandy. Pebbles are divided into sections by wooden breaks (they call them "groins") and they are cool to climb on. Walk south to escape crowds and you will reach the beach huts at Tankerton. Have an ice-cream and keep walking along the promenade, as the sea there is too deep to bath. This mum said on Kinfo that her kids "loved it". Want to recommend a pool / lido / beach? Open Kinfo and share it with parents - they are waiting for your advice!